Our brand new 3D Virtual Tours let you walk through and explore Escape at Nobbys from the comfort of your sofa. Why not take a look inside for yourself. 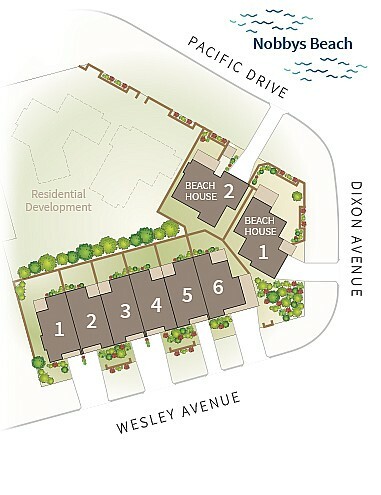 Check-out the exact, size, layout and furniture placement of our Executive Townhouses. Take a look up close at the spacious living area in our Ocean Townhouse or why not see for yourself the fabulous views from the balcony of our Beach Houses. Not sure which property is right for you? Our Virtual Tours take away the guess work. No surprises when you arrive. What you see is what you get. Click link below then hit the play button in the bottom left hand corner to auto-play the 3D virtual tour along a pre-set path right through the entire property visiting key focus points along the way. 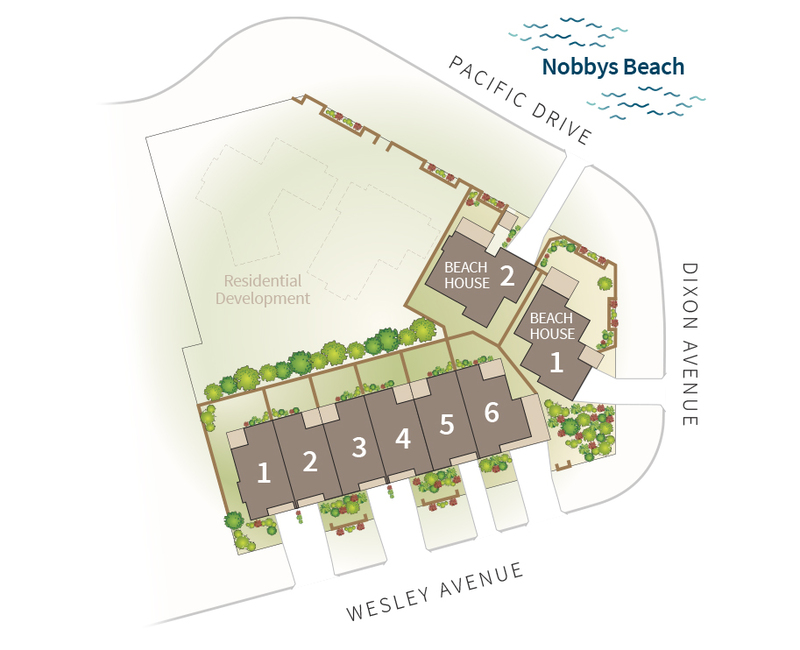 The unique Dollhouse View and Floor Plans allow future guests to experience Escape at Nobbys like never before. Click on a particular room and explore in detail the layout and configuration. The dollhouse view can be spun around 360 degrees which gives a birds eye view from every angle and aspect. Elders Real Estate Port Macquarie are now the Property Managers for Escape at Nobbys. They are located at 62 Clarence Street, Port Macquarie. Two stunning Beach Houses and six superbly finished Townhouses. Fully self contained, self catering, modern, boutique, beach side holiday accommodation located in Port Macquarie - just steps away from beautiful Nobbys Beach. Escape at Nobbys really is a real home away from home. With 8 properties we can accommodate up to 48 people - ample room for friends and family to stay close by. Perfect for short stay, long stay or small groups. Less than 4 km to town centre and only metres from beautiful beaches, surf breaks, lush rainforests, coastal walks, shops and restaurants. Book your Escape at Nobbys today. Whether you are looking for the perfect summer getaway or a romantic winter escape, try us for a truly relaxed and stress free experience. You will find our superb beachside location is just the beginning. With benefits you just won't find in a hotel room such as fully equipped kitchen, laundry, private garden, remote control garage with direct house access. Enjoy the extra space in your home away from home that we know will create that special holiday feeling and memories that will last......until your next Port Macquarie holiday escape. Escape at Nobbys is one family owned and operated. Five generations of us have been lucky enough to grow up holidaying in this beautiful part of the world and we are so pleased to be able to provide accommodation so that other families now have the opportunity to create their own wonderful Port Macquarie holiday memories. All our Escape at Nobbys properties are permanent holiday rentals and are available 365 days a year.